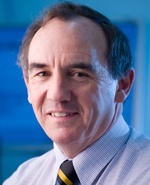 James McCluskey is internationally recognised for his contribution to understanding the biology of the Human Leucocyte Antigens (HLA) of the major histocompatibility complex. He has made critical discoveries underpinning the biochemical basis for HLA determinant selection, genetic control of cellular immunity and the structural basis of T cell recognition. His work has provided a paradigm for the basis of HLA associations with human disease, including the immunogenetic basis of T cell mediated drug hypersensitivity. He identified the basic mechanisms of determinant spreading of autoantibody specificity in systemic autoimmunity. His record includes significant translational achievements in clinical immunology and allogeneic transplantation.